Windward Cay is set just 1/2 a mile off the ‘192’ in a beautiful conservation area, close to Medieval Times and Wal Mart. 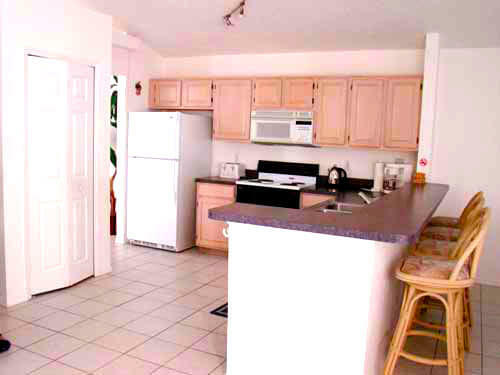 Windward Cay is within walking distance of the ‘192’ and a number of restaurants. 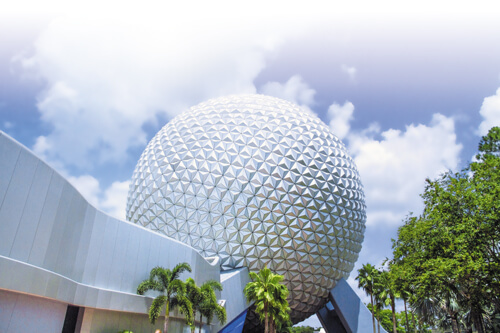 Walt Disney world is about a 10 minute drive away with Sea World and Universal Orlando just a 15 minute drive away. Windward Cay is also very convenient for the many outlet shops and malls in the area as well as access to the I4 should you wish to visit the Gulf Beaches at St Petersburg (with a journey time of just over an hour) or should you wish to visit Cocoa beach (with a journey time of under 1 hour). 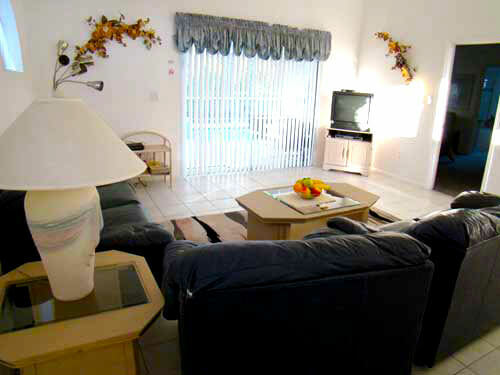 All our homes have pools and are fully furnished and well equipped. With our local management company available 24 hours should you need any assistance. Lounge Comfortably furnished, with sofas and occasional tables, soft lighting, and ceiling fan, cable TV, DVD player, and music centre. Family Room With comfortable sofas, occasional tables, and lamps. Dining Area With dining room suite. Kitchen Fully equipped modern kitchen, including Microwave Oven, large fridge freezer, cooker, dishwasher, fitted cabinets containing good range of china, glassware, cutlery and cooking utensils. Plenty of work surfaces. Washing machine and tumble dryer, etc. 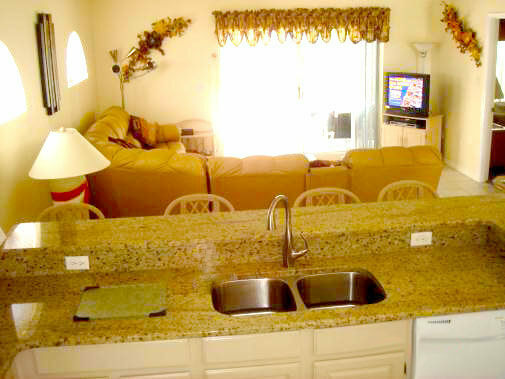 With breakfast bar and stools. 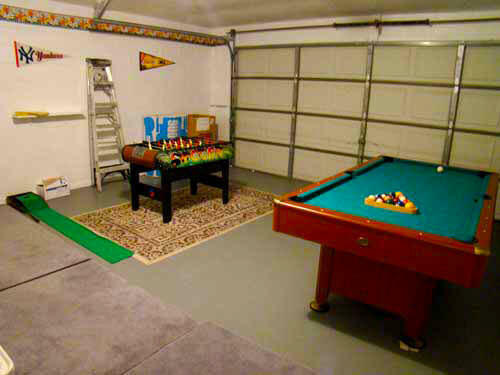 Games Room In the garage with a pool table and other games. Lanai With Sun loungers, patio table and chairs. 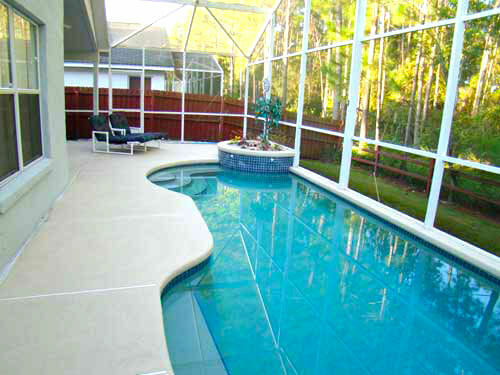 Swimming Pool Swimming pool with surrounding sundeck finished in cooldek (will not burn feet). 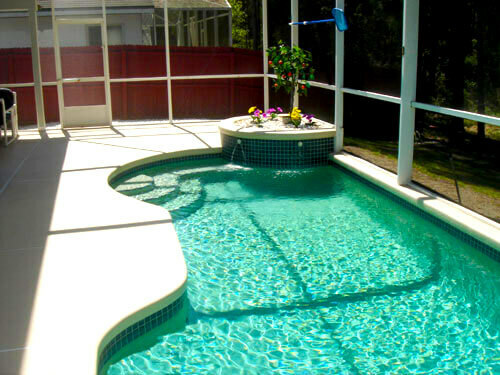 The pool area is enclosed by mesh screening to keep out insects and leaves (but allows sun to tan the body). 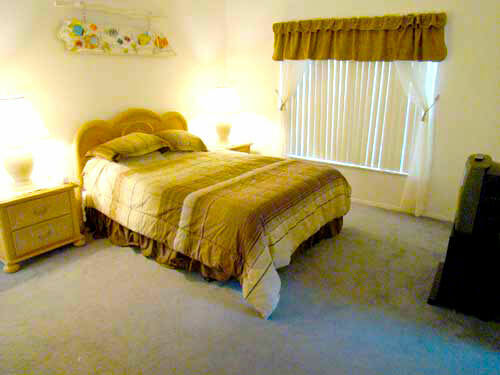 Master Bedroom With a King sized double bed, bedside tables and lamps as well as clock radio and telephone and cable TV. Dressing table and large walk in closet in the, En Suite Bathroom with walk in shower and bath, double wash basin and WC. Bedroom Two Double bed, chest of drawers as well as large closet and cable TV. Bedroom Three Twin beds,nightstand and lamp as well as chest of drawers and large closet. 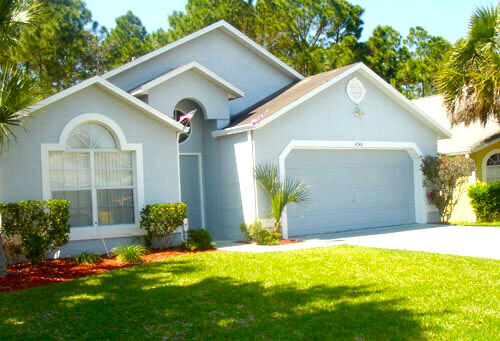 The whole house is fully air conditioned with tile and carpet flooring. Large double garage. 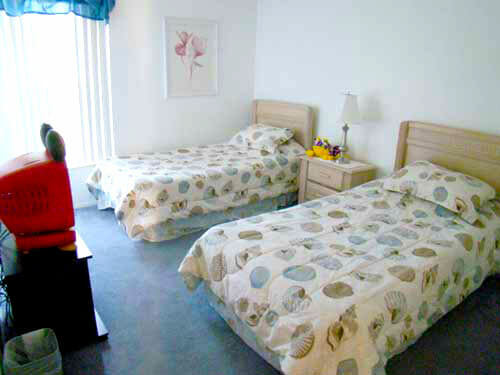 All bed linen and towels are provided except for Beach Towels. 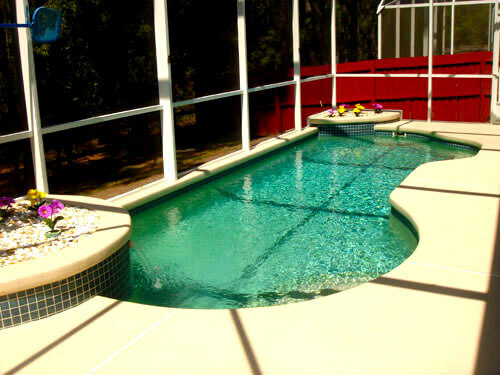 The pool is cleaned regularly, the house is cleaned on guest departure and checked prior to guest arrival.